Hill Valley High: Congratulations - Teacher of the Year! CONGRATULATIONS Miss Ginny~ 2008-2009 Bayside Elementary Teacher of the Year! 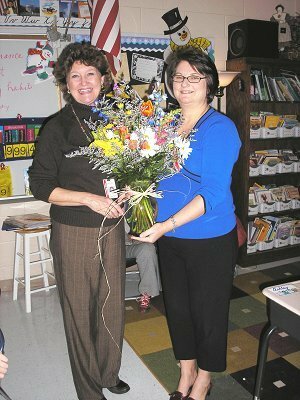 We are very proud of Miss Ginny, our 2008-9 Teacher of the Year! "Miss Ginny is a multi-talented, special individual who is an asset to our school and community", stated Mr. Mason, Bayside Elementary principal.